It’s that time of year again. It’s time to look at this past year and review the biggest wins and facepalm-inducing fails of this past year. This year, we have some great items to look at. 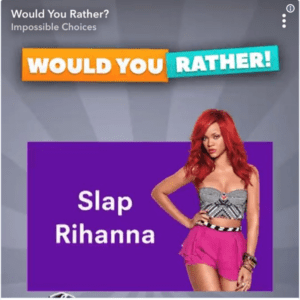 Starting off the list, we have Snapchat and its “interesting” ad for a quiz called “Would You Rather,” where users had to pick between slapping Rihanna or punching Chris Brown. Unsurprisingly, Rihanna posted an Instagram story showing her disdain for the ad, which resulted in thousands of users uninstalling the app. In the past, Chick-fil-A has made our list for making a fake account to respond to comments on its Facebook page. This time, it could’ve avoided the fail list if it paid attention in school, or at least looked at a map. 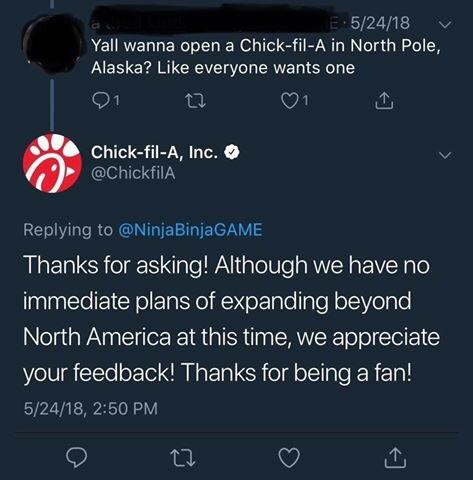 I mean, the last time I checked, Alaska is in North America. Stay in school, kids. 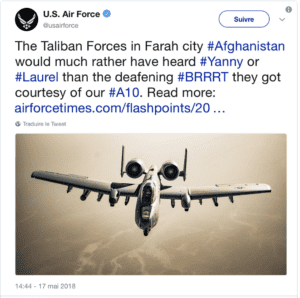 While we all recall the Yanny/Laurel debate, it was happening around the same time civilian casualties were reported due to bombings in—you guessed it—Afghanistan. 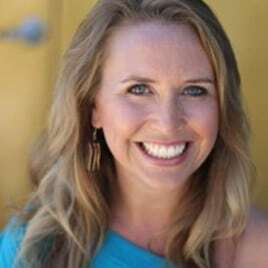 A lesson to be learned from these fails: just because it seems like a good idea and may be in the viral conversation, take a few seconds to think it through before posting. Enough fails. How about some wins? The photos don’t always feature models. In fact, the photos are submitted from regular users wearing Blenders Eyewear products. Admittedly, after a summer of getting blasted with ads and posts, I broke down and bought a pair. 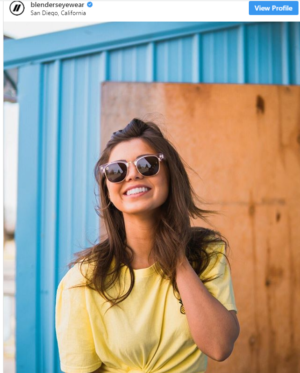 They are indeed good glasses, and this is probably the first Facebook ad that made me want to go buy something. IHOP announced a branding name change to IHOB as it moved from selling pancakes to burgers. While there was a big divide on whether or not this was a good idea, it certainly got people talking about the brand online. It was all a ploy to announce the new burger items hitting IHOP’s menu. When I heard Domino’s was fixing potholes that the government was taking too long to fix, I thought it was a joke. Turns out that the company wasn’t joking. It’s one thing to put an ad out, it’s another thing to put together funny memes, and it’s another to take initiative and help make your community a better place. 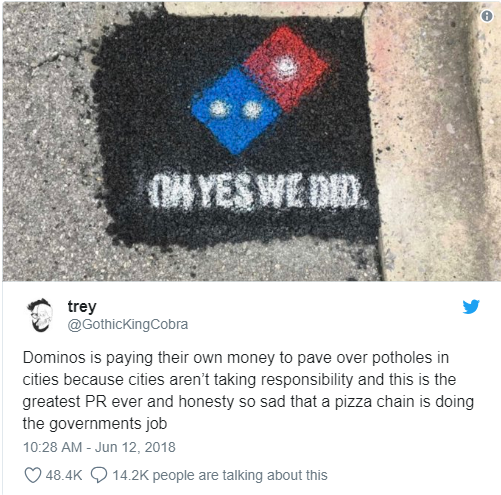 This has got to be some of the best work I’ve seen a company do, and I’m not alone—thousands of people were on board with Domino’s fixing potholes. Domino’s stance? It wanted to fix potholes so that its products weren’t ruined when drivers hit potholes while delivering to customers. If you want to fail at social media, hop on the viral bandwagon and post content without thinking about the context or consequences. Proofread nothing. If you want to win at it, think about your audience: What do they like, and how can you relate to them? If you can make them love your company, they’ll love your product.